Vehicle-speed-sensitive pwr rack & pinion steering, Vehicle tool kit, Valet lock, Universal garage door opener, Tire pressure monitoring system, Temporary spare tire w/steel wheel, Steering wheel gearshift paddles, SmartKey infrared remote -inc: trunk open, windows & sunroof open/close, panic alarm, fuel filler door, selective unlock, Selectable light-sensing headlamps, Roll-over sensor. This Mercedes-Benz E-Class has a dependable Gas V6 3.5L/213 engine powering this Automatic transmission. * Experience a Fully-Loaded Mercedes-Benz E-Class E 350 *Rear wheel drive, Rain-sensing windshield wipers, Pwr windows w/1-touch express down & up, Pwr tilt/slide panorama sunroof -inc: 1-touch open/close, Pwr heated signal mirrors -inc: mirror memory, auto-dimming driver mirror, Pwr door locks, PRESAFE® collision preparedness system, P235/45R17 front & P255/40R17 rear all-season tires, LED license plate lighting, LED daytime running lamps, Leather-wrapped steering wheel -inc: audio & multi-function display controls, shift paddles, Leather seat trim, Independent 3-link front & 5-arm multi-link rear suspension, Front/rear velour floor mats, Front/rear stabilizer bars, Front/rear side curtain airbags, Front/rear reading lights, Front side-impact airbags, Front passenger weight sensing system (WSS), Front dual-stage air bags w/front passenger adaptive feature. * The Experts' Verdict...*As reported by KBB.com: The 2012 Mercedes-Benz E-Class is like a well-tailored suit; it will always look good, feel right and be in style. The wealth of standard features plus the sheer number of base-model options means there's something for everyone in the E-Class lineup. * Visit Us Today *Test drive this must-see, must-drive, must-own beauty today at Moss Honda, 1401 Surrey St, Lafayette, LA 70501.Vehicle-speed-sensitive pwr rack & pinion steering, Vehicle tool kit, Valet lock, Universal garage door opener, Tire pressure monitoring system, Temporary spare tire w/steel wheel, Steering wheel gearshift paddles, SmartKey infrared remote -inc: trunk open, windows & sunroof open/close, panic alarm, fuel filler door, selective unlock, Selectable light-sensing headlamps, Roll-over sensor. This Mercedes-Benz E-Class has a dependable Gas V6 3.5L/213 engine powering this Automatic transmission. * Experience a Fully-Loaded Mercedes-Benz E-Class E 350 *Rear wheel drive, Rain-sensing windshield wipers, Pwr windows w/1-touch express down & up, Pwr tilt/slide panorama sunroof -inc: 1-touch open/close, Pwr heated signal mirrors -inc: mirror memory, auto-dimming driver mirror, Pwr door locks, PRESAFE® collision preparedness system, P235/45R17 front & P255/40R17 rear all-season tires, LED license plate lighting, LED daytime running lamps, Leather-wrapped steering wheel -inc: audio & multi-function display controls, shift paddles, Leather seat trim, Independent 3-link front & 5-arm multi-link rear suspension, Front/rear velour floor mats, Front/rear stabilizer bars, Front/rear side curtain airbags, Front/rear reading lights, Front side-impact airbags, Front passenger weight sensing system (WSS), Front dual-stage air bags w/front passenger adaptive feature. * The Experts' Verdict...*As reported by KBB.com: The 2012 Mercedes-Benz E-Class is like a well-tailored suit; it will always look good, feel right and be in style. The wealth of standard features plus the sheer number of base-model options means there's something for everyone in the E-Class lineup. * Visit Us Today *Test drive this must-see, must-drive, must-own beauty today at Moss Honda, 1401 Surrey St, Lafayette, LA 70501. PREMIUM PACKAGE WITH SIRRUS XM RADIO, ILLUMINATED STAR, REAR SPOILER, REAR VIEW CAMERA, BLIND SPOT ASSIST!!! - **Vehicle Options listed are when the unit was originally built. Please confirm the accuracy of the included equipment by calling the dealer prior to purchase.PREMIUM PACKAGE WITH SIRRUS XM RADIO, ILLUMINATED STAR, REAR SPOILER, REAR VIEW CAMERA, BLIND SPOT ASSIST!!! - **Vehicle Options listed are when the unit was originally built. Please confirm the accuracy of the included equipment by calling the dealer prior to purchase. PREMIUM PACKAGE, SPORT PACKAGE, KEYLESS GO, LANE TRACKING PACKAGE, BLIND SPOT ASSIST, LANE KEEPING ASSIST, COMFORT BOX!!! $60,410 MSRP!!! - **Vehicle Options listed are when the unit was originally built. Please confirm the accuracy of the included equipment by calling the dealer prior to purchase.PREMIUM PACKAGE, SPORT PACKAGE, KEYLESS GO, LANE TRACKING PACKAGE, BLIND SPOT ASSIST, LANE KEEPING ASSIST, COMFORT BOX!!! $60,410 MSRP!!! - **Vehicle Options listed are when the unit was originally built. Please confirm the accuracy of the included equipment by calling the dealer prior to purchase. **Vehicle Options listed are when the unit was originally built. Please confirm the accuracy of the included equipment by calling the dealer prior to purchase. - **Vehicle Options listed are when the unit was originally built. Please confirm the accuracy of the included equipment by calling the dealer prior to purchase. - **Vehicle Options listed are when the unit was originally built. Please confirm the accuracy of the included equipment by calling the dealer prior to purchase. - **Vehicle Options listed are when the unit was originally built. Please confirm the accuracy of the included equipment by calling the dealer prior to purchase. - **Vehicle Options listed are when the unit was originally built. Please confirm the accuracy of the included equipment by calling the dealer prior to purchase. - **Vehicle Options listed are when the unit was originally built. Please confirm the accuracy of the included equipment by calling the dealer prior to purchase. - **Vehicle Options listed are when the unit was originally built. Please confirm the accuracy of the included equipment by calling the dealer prior to purchase. - **Vehicle Options listed are when the unit was originally built. Please confirm the accuracy of the included equipment by calling the dealer prior to purchase. - **Vehicle Options listed are when the unit was originally built. Please confirm the accuracy of the included equipment by calling the dealer prior to purchase. - **Vehicle Options listed are when the unit was originally built. Please confirm the accuracy of the included equipment by calling the dealer prior to purchase. - **Vehicle Options listed are when the unit was originally built. Please confirm the accuracy of the included equipment by calling the dealer prior to purchase. - **Vehicle Options listed are when the unit was originally built. Please confirm the accuracy of the included equipment by calling the dealer prior to purchase. - **Vehicle Options listed are when the unit was originally built. Please confirm the accuracy of the included equipment by calling the dealer prior to purchase. **Vehicle Options listed are when the unit was originally built. Please confirm the accuracy of the included equipment by calling the dealer prior to purchase. - **Vehicle Options listed are when the unit was originally built. Please confirm the accuracy of the included equipment by calling the dealer prior to purchase. - **Vehicle Options listed are when the unit was originally built. Please confirm the accuracy of the included equipment by calling the dealer prior to purchase. - **Vehicle Options listed are when the unit was originally built. Please confirm the accuracy of the included equipment by calling the dealer prior to purchase. - **Vehicle Options listed are when the unit was originally built. Please confirm the accuracy of the included equipment by calling the dealer prior to purchase. - **Vehicle Options listed are when the unit was originally built. Please confirm the accuracy of the included equipment by calling the dealer prior to purchase. - **Vehicle Options listed are when the unit was originally built. Please confirm the accuracy of the included equipment by calling the dealer prior to purchase. - **Vehicle Options listed are when the unit was originally built. Please confirm the accuracy of the included equipment by calling the dealer prior to purchase. - **Vehicle Options listed are when the unit was originally built. Please confirm the accuracy of the included equipment by calling the dealer prior to purchase. - **Vehicle Options listed are when the unit was originally built. Please confirm the accuracy of the included equipment by calling the dealer prior to purchase. - **Vehicle Options listed are when the unit was originally built. Please confirm the accuracy of the included equipment by calling the dealer prior to purchase. - **Vehicle Options listed are when the unit was originally built. Please confirm the accuracy of the included equipment by calling the dealer prior to purchase. - **Vehicle Options listed are when the unit was originally built. Please confirm the accuracy of the included equipment by calling the dealer prior to purchase. HEADS UP DISPLAY!!! A MUST SEE ONLY 1 IN US!!! - **Vehicle Options listed are when the unit was originally built. Please confirm the accuracy of the included equipment by calling the dealer prior to purchase.HEADS UP DISPLAY!!! A MUST SEE ONLY 1 IN US!!! - **Vehicle Options listed are when the unit was originally built. Please confirm the accuracy of the included equipment by calling the dealer prior to purchase. Searching for a high-quality pre-owned Mercedes-Benz vehicle at an affordable price? Your search ends here. Whether you’re looking for a Certified Pre-Owned Mercedes-Benz or other used cars, our certified dealership, Mercedes-Benz of Lafayette, has the selection to meet your needs. We offer a wide range of used vehicles, including cars under $15K! No matter what your needs or budget are, we’ve got the right used car for you. Learn more about our pre-owned Mercedes-Benz inventory below and call our Lafayette, LA, dealership at (337) 520-0330 to schedule a test drive today! Finding the perfect pre-owned car shouldn’t have to be a hassle. If you’re in the market for a pre-owned Mercedes-Benz, save yourself time, money, and headache and come visit our certified Mercedes-Benz dealership here at Mercedes Benz of Lafayette. We are proud to carry an extensive selection of used Mercedes-Benz vehicles to fit all lifestyles and budgets. In our pre-owned inventory, you’ll find popular models, including C-Class and E-Class sedans, E-Class wagons, CLA coupes, GLA and GLC SUVs, SL and SLC roadsters, a host of hybrid options, and more. No matter what your needs and budget are, we have the Mercedes-Benz options for you. To make the Mercedes-Benz shopping and ownership experience as easy and enjoyable as possible for you, our valued customer, our team here at Mercedes-Benz of Lafayette proudly offers services designed to optimize every step of the ownership process. First, we offer flexible financing plans to accommodate your budget. We understand that financial circumstances change and that no two budgets are the same, which is why we strive to bring you prices and payment plans that work for you. For us, building a lasting relationship with our buyers is important. We strive to stand by your side well after you’ve driven your Mercedes-Benz off our lot. 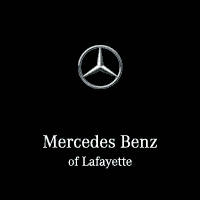 As a certified Mercedes-Benz dealership in Lafayette, LA, we are proud to offer comprehensive parts and service to help keep your Mercedes-Benz in tip-top shape for years to come. That’s our commitment to you. You can browse our online inventory to view specs, prices, and features or feel free to visit our dealership in Lafayette, LA, today. If you find a model you like but aren’t quite sold on right after, schedule a test drive with us so you can drive before you buy! And if you have any questions at any point during the buying process, our sales staff is here to answer them all. We look forward to doing business with you! Find your pre-owned Mercedes-Benz here. Call (337) 520-0330.